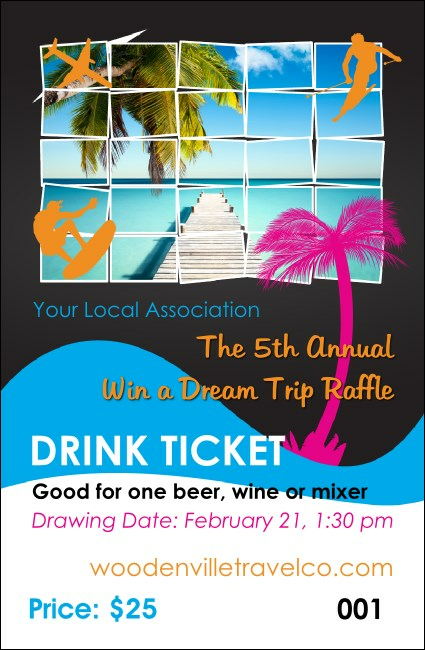 Help your guests envision the getaway trip of their dreams when you give them Win a Vacation Drink Tickets at your next event. These stunning ticket templates feature the image of a serene island location complete with palm trees and crystal blue water, and each one includes sequential numbering for security. Find the right ticket for your dream vacation at TicketPrinting.com.